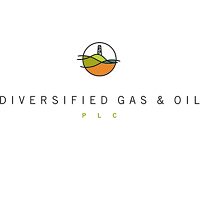 Diversified Gas & Oil PLC (LON:DGOC), the US based gas and oil producer, has today announced that on 18 July 2018 it completed the acquisition of EQT Corporation’s southern Appalachian producing gas and oil and midstream assets, details of which were announced on 29 June 2018. The EQT Asset Acquisition increases the Company’s daily production by approximately 115% to over 60,000 barrels of oil equivalent per day, firmly establishing DGO as the largest gas and oil producer on AIM. The EQT Asset Acquisition also included more than 6,400 miles of gathering pipe and 59 compressor stations, which significantly enhance the economics of the Company’s production in this region of the Appalachian Basin. Inclusive of the producing and midstream assets, DGO paid cash consideration of $575 million, subject to customary purchase price adjustments. The Company financed the EQT Asset Acquisition from its own cash resources following the successful Placing with net proceeds of $240 million ($250 million, gross), which Shareholders approved at the General Meeting held on 16 July 2018. Concurrently, DGO has completed the previously announced increase of its revolving credit facility to $1 billion with a current borrowing base of $600 million. The bank syndicate, co-arranged by KeyBanc Capital Markets, The Huntington National Bank, Citizens Bank, N.A. and Branch Banking and Trust Company, includes five new lending institutions for a total of 11 participating banks. Participant banks include ING Capital LLC, IberiaBank, CIBC, Credit Agricole, US Bank, CIT Bank, and First Tennessee. Commenting on the completion of the EQT Asset Acquisition, Diversified Gas & Oil PLC CEO, Rusty Hutson, Jr., said: “Delivering on our stated objectives has been a guiding principal since our admission to AIM in February 2017. The addition of these high-quality assets to our growing portfolio and their accretive impact on earnings are tangible results that benefit our Shareholders, and represent a significant milestone in the evolution of our clearly stated strategy. Completing a transaction of this size further increases DGO’s visibility of the preferred and capable purchaser of similar assets. We now turn our attention to the optimisation and integration of these assets into our expanding operations. To help accomplish this task, I am excited to welcome to Diversified the more than 250 exceptional operations personnel who have cared for these assets for years and in many cases, for decades. Their commitment to excellence is a perfect complement to our existing Company culture, and I am confident that the team’s combined efforts will yield even better results.